The Country Music Hall of Fame and Museum will host a special concert, Boppin’ the Blues: A Celebration of Sam Phillips, on Saturday, May 28, at 2 p.m., in the museum’s CMA Theater. The performances are presented in support of the exhibition Flyin’ Saucers Rock & Roll: The Cosmic Genius of Sam Phillips, which will end its run June 12. Paying homage to Phillips will be rockabilly, country and roots-oriented artists influenced by his work including: JD McPherson, the Planet Rockers, Margo Price and Webb Wilder. Following the concert, participants will sign a commemorative Hatch Show Print poster, available for purchase in the Museum Store. Oklahoma native JD McPherson has explored Sun-era rock & roll and rhythm & blues on two albums of original material. Rockabilly combo the Planet Rockers—Eddie Angel, Sonny George, Bill Swartz, and Mark W. Winchester—formed in Nashville in the late 1980s, branding their music “100 Percent Tennessee Rock & Roll.” The band’s album Return of the Planet Rockers, was recorded in 2014 at Phillips’s Memphis studio. Featured on Saturday Night Live in April, Illinois native Margo Price cut her 2016 debut solo album, Midwest Farmer’s Daughter, at historic Sun Studio in Memphis. 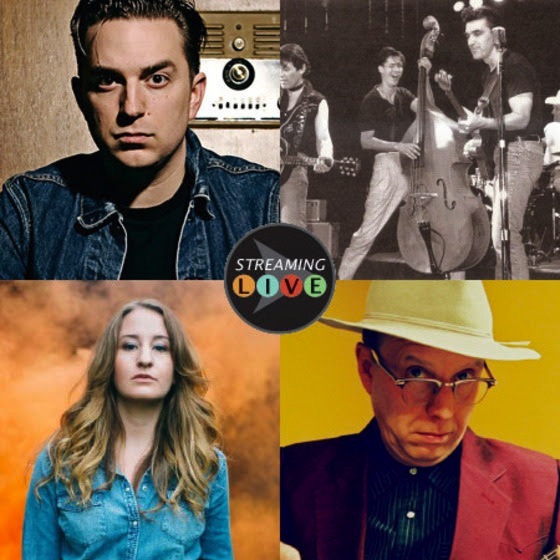 Raised in Mississippi, charismatic Webb Wilder has been blending rockabilly, British pop, country, and blues in creative ways since releasing his debut album, It Came from Nashville, thirty years ago. One of the most innovative and inspiring figures in the history of American music, Sun Records founder Sam Phillips introduced the world to Johnny Cash, Howlin’ Wolf, Jerry Lee Lewis, Roy Orbison, Carl Perkins, Elvis Presley, Charlie Rich, Rufus Thomas, Ike Turner and many more. Blurring class and color lines, Phillips set out to undermine barriers of racial segregation and discrimination, just as the Civil Rights movement gathered force. The program is included with museum admission and free to museum members. Guests can make reservations at ticketfly.com or by calling 615-416-2001. The program will be streamed live.